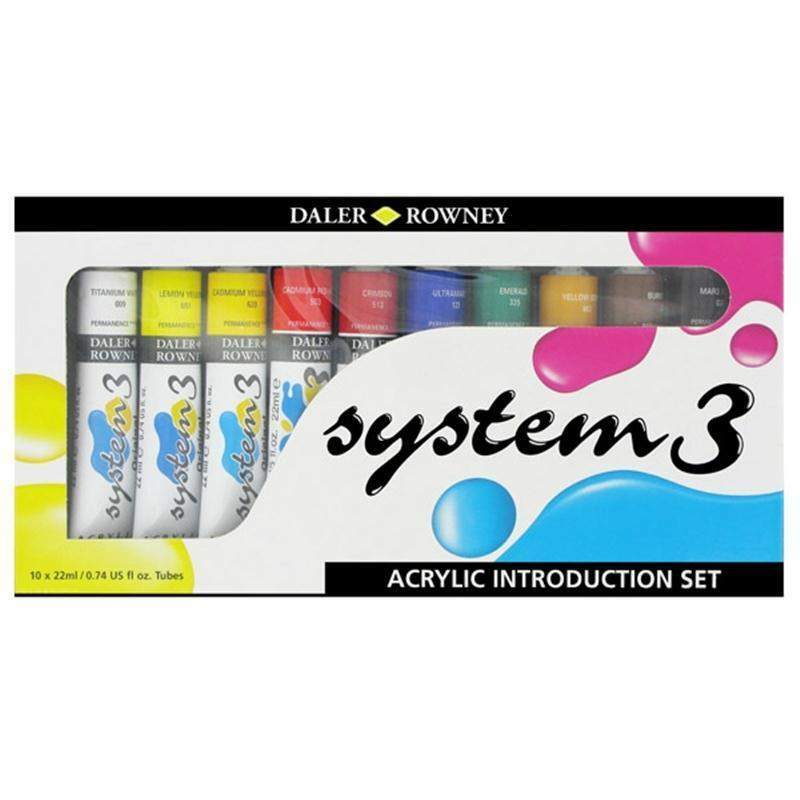 The Dler Rowney System 3 Acrylic Introduction Set contains 10 x 22ml tubes of assorted colours. It is a versatile range offering good-quality acrylic colour at an exceptional price. The pigment loading is greater than comparable ranges, increasing covering power, and both lightfastness and permanence are excellent. It is versatile and can be used on many surfaces, making this product ideal for everyday use for students, artists, and hobbyists alike.